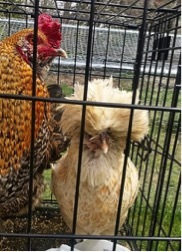 Last month, I told you the sad-but-true tale of one cowardly rooster and two deceased chickens. I was particularly saddened by the death of the beautiful hen, a Polish chicken with feathers that looked like one of Phyllis Diller’s hats. In the photo below, she is standing next to the cowardly rooster. Love her feathers! 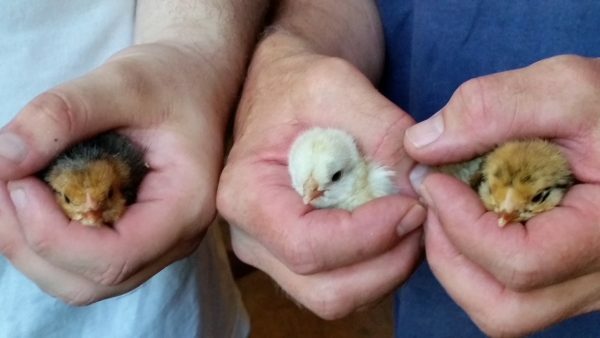 My husband decided to try hatching three new chickens from the eggs he had collected the day before, including an egg laid by the beautiful hen. He put a small, plastic, inexpensive incubator, the kind you would buy for a science fair project, on the kitchen counter next to the stove. He covered it with two dishrags and a pot holder, and he used our good meat thermometer to monitor the internal temperature. 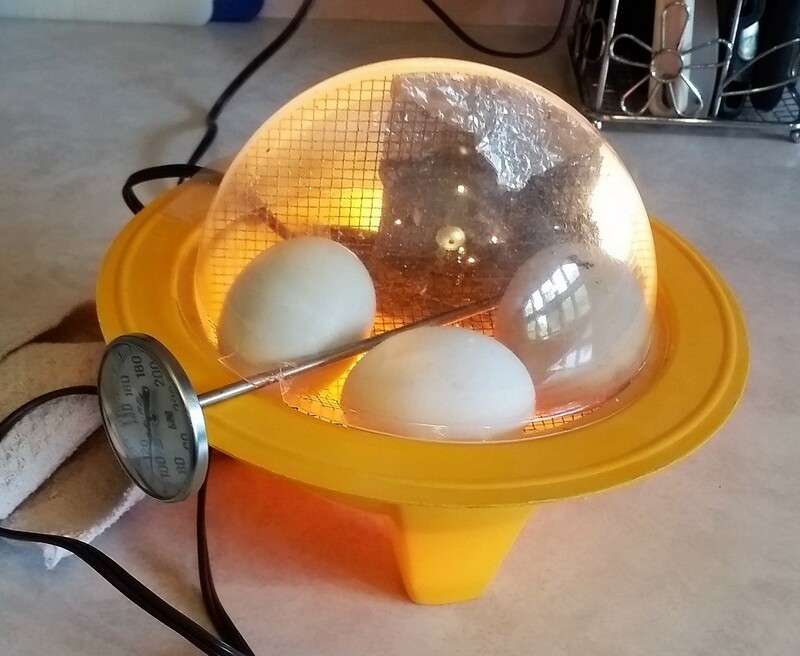 I was initially skeptical about incubating chicks in the middle of our cooking space, but this actually proved to be a very practical location because it was impossible for any of us to forget about the eggs. According to Google, the eggs had to be kept between 99 and 102 degrees Fahrenheit, so every few hours, whoever was home would check the temperature. If the eggs were too hot, we’d remove a dish towel. 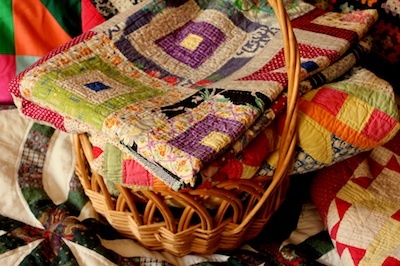 If they were too cold, we’d add a dishtowel. The eggs also needed to be turned at least three times a day. My husband marked each egg with permanent marker so we could tell if we had actually turned the eggs to a different side or had merely rotated them 360 degrees. We were overjoyed! We were actually going to hatch some eggs! Because I knew absolutely nothing about the hatching process, I consulted Google. Me: Our eggs are hatching! Soon we will have three baby chicks! Google: Hopefully so. 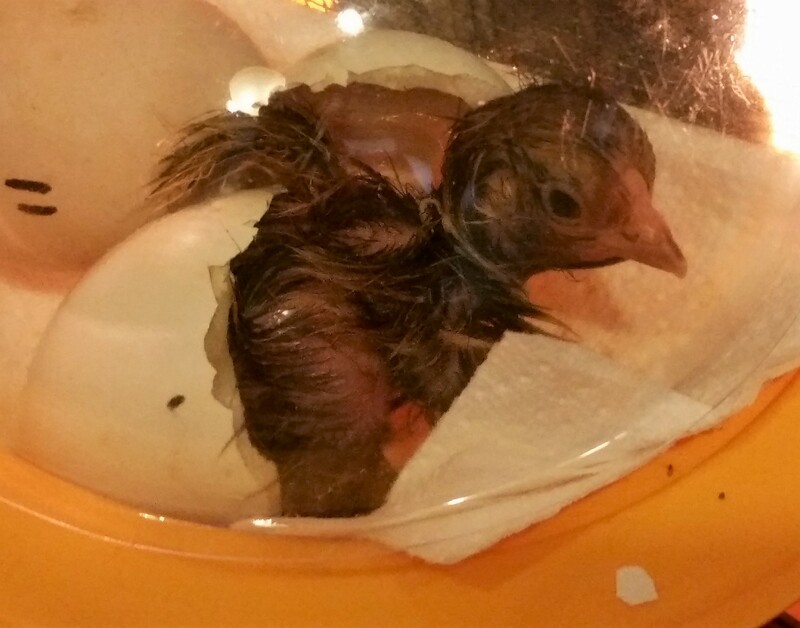 Don’t do anything that might ruin the hatching process. Make the chick do all the work. 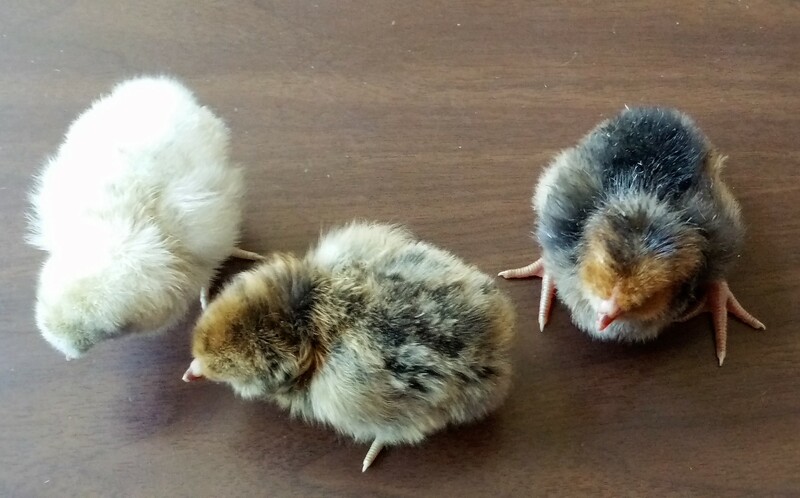 The chick in the middle was the first to make any progress. 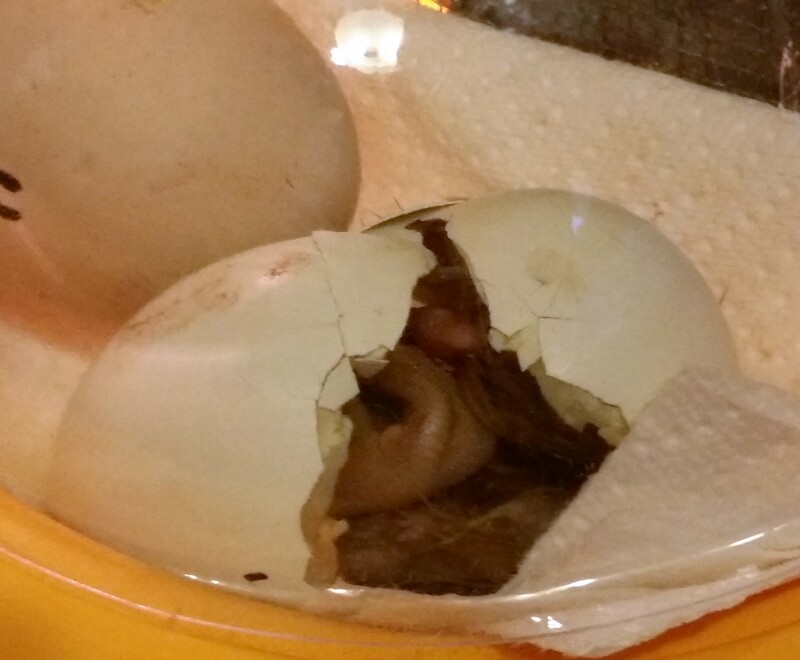 She slowly pecked a crack that went around the entire egg. 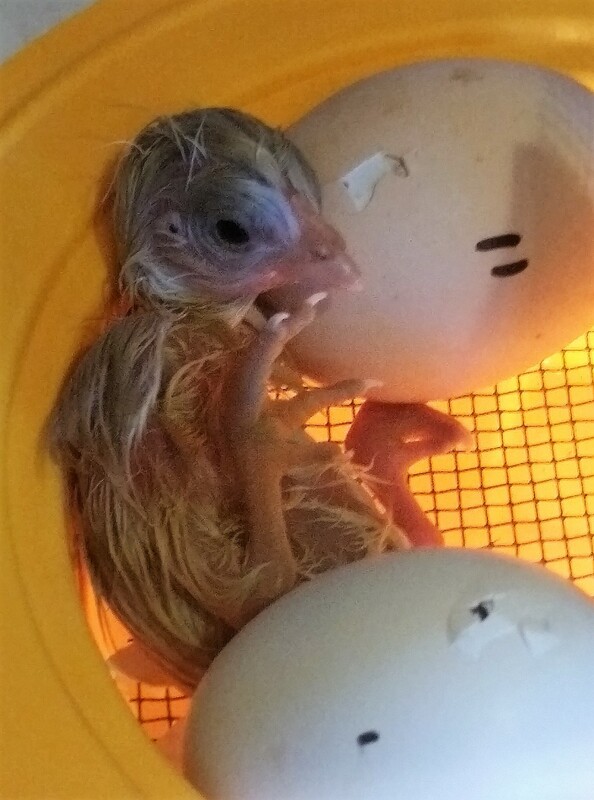 When she was finally out, I removed the incubator lid, just for a better photo. Here she is in my husband’s hand, on her way to the brooder. Not knowing what to do next, I consulted Google. 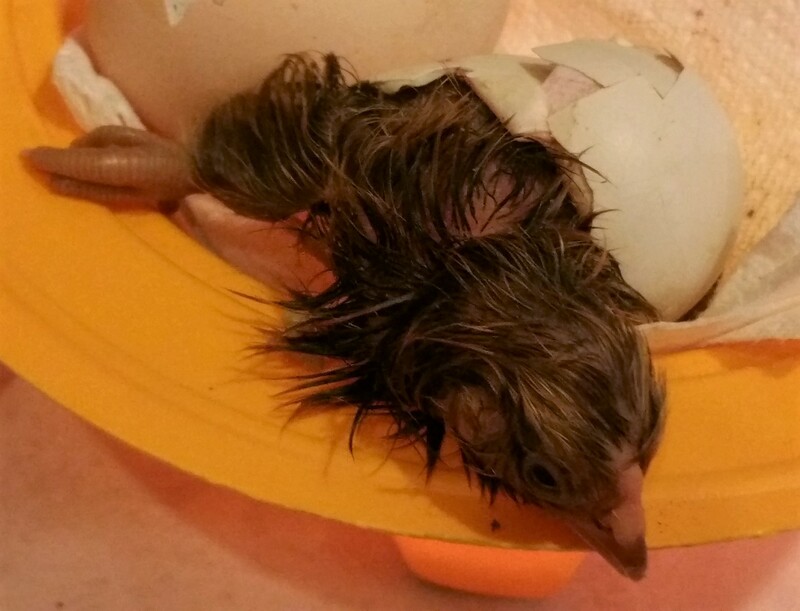 Me: The first chick has just hatched, and we have moved her to the brooder. Google: No! Stop! Put that chick right back in the incubator! 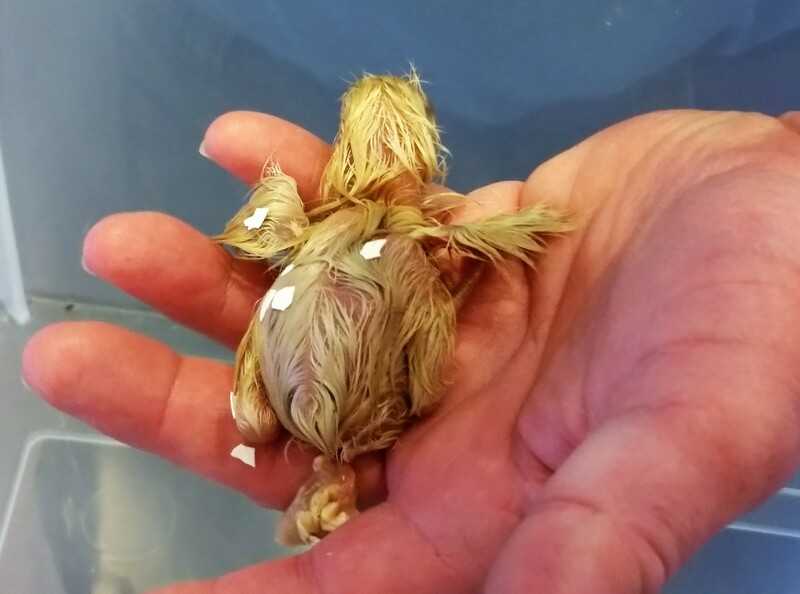 New chicks have to stay in the warm incubator until their feathers are dry. Me: How long will that take? Me: Four hours?! Would a hair dryer help? Google: You are very droll. Me: What does that even mean? 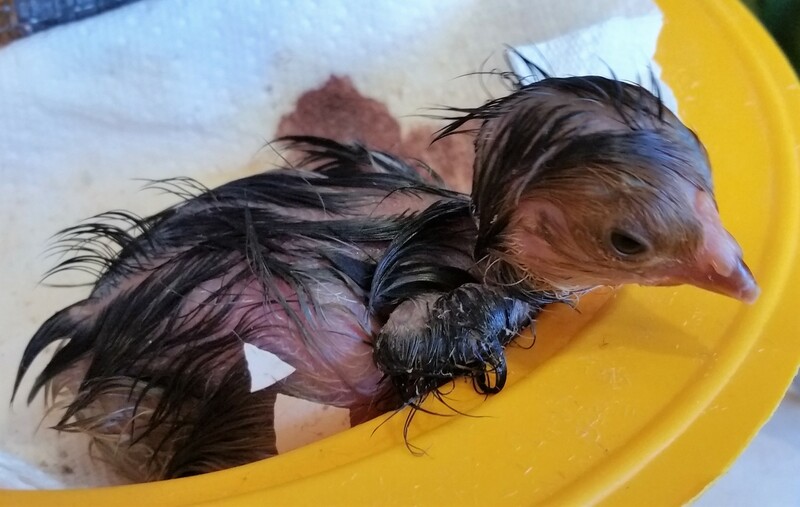 When we took off the lid, she tried to leave the incubator. 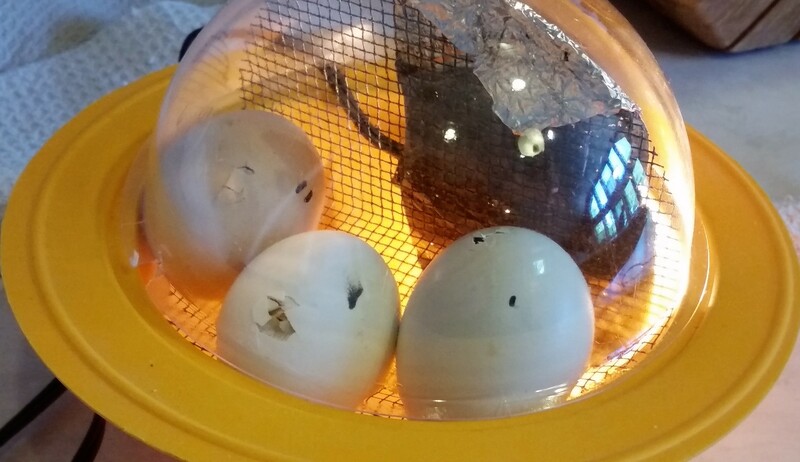 By 11:00 that night, both new babies were almost dry, but the third egg had made very little progress. The incubator looked rather crowded, so I had another chat with Google. Me: There’s not much room in the incubator for the new chicks and one unhatched egg. 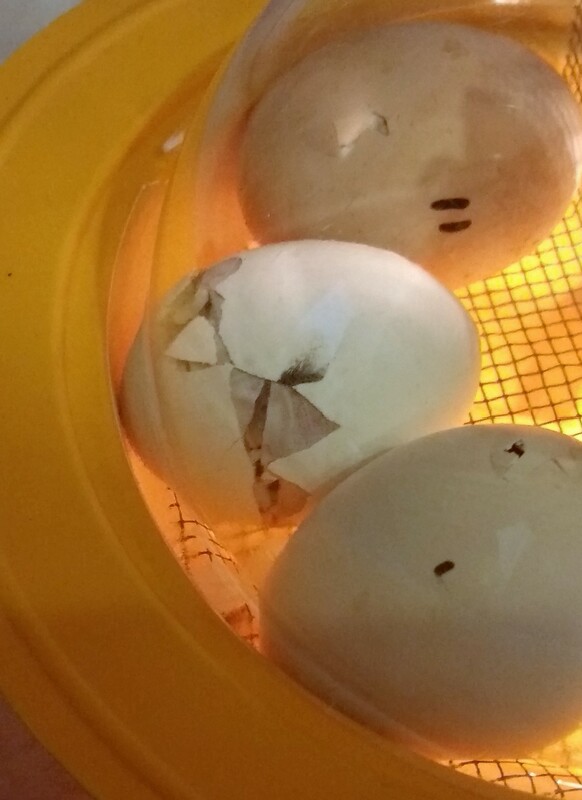 Google: That is an unfortunate reality caused by the person who bought the cheap incubator. 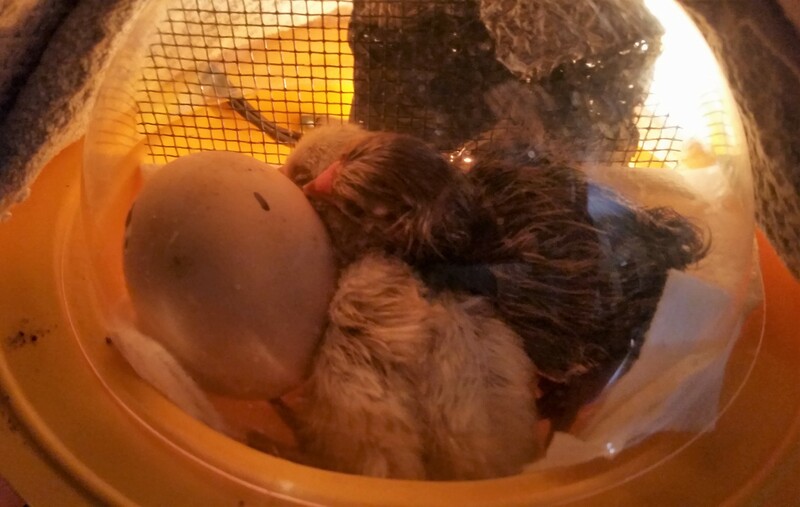 Besides, the unhatched chick will hear little peeping sounds from her newly hatched sisters, and these noises will encourage the third chick to break free of her egg. 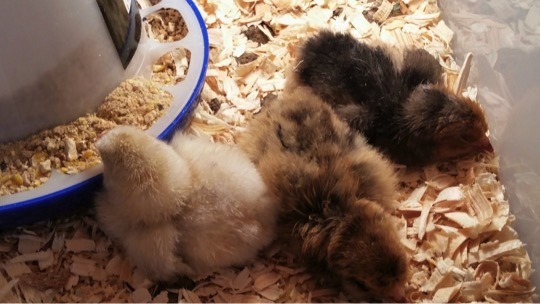 We finally moved the chicks to the brooder (after warming it, making a floor from dirt and shavings, and adding water and food), and we went to bed. And the chick peeped back at me! About two hours later, accompanied by lots of noise and frantic movement, she emerged from her shell. Four hours later, she joined her sisters in the brooder. 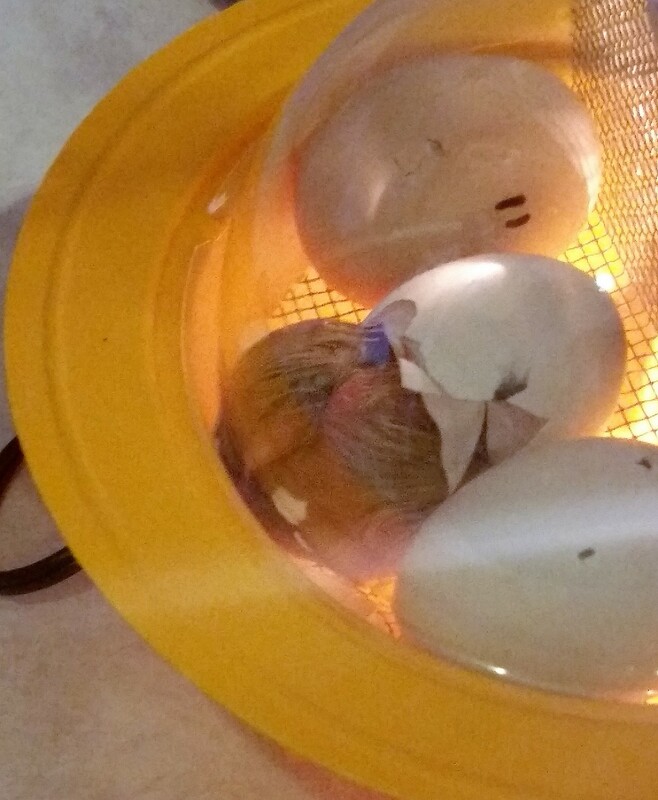 Yes, our brooder was a plastic bin with a light bulb for warmth. We were so excited for our three new babies that we decided to name them. My husband usually votes for names like Stu or Dumpling or Tasty, but I decided to name them after the three newest girls in my extended family. Please meet Allie, Evie, and Kelsey. The chicks spent most of their first few days sleeping, often closing their eyes and nodding off while standing or eating or trying to walk. In the photo below, the chicks are sitting on the kitchen table, and I quickly realized that they are actually terrible models because they would never hold still. I have lots of blurry photos. The chicks all had the same father, but three different mothers, and that maternal influence is reflected in their unique coloring. The lightest colored chick is from the beautiful hen. So far, her head looks the same as everyone else’s. 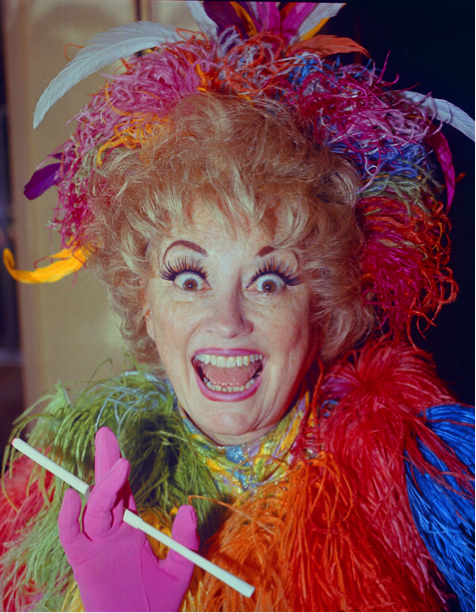 Join me next month when I answer the burning question: will she end up wearing one of Phyllis Diller’s hats? What awesome pictures. Thank You for sharing with us. You’re welcome, Bonnie. I think these picts are awesome too. A chick coming out of an egg is really amazing. Love it. Thank goodness for google! They are beautiful. When do you find out if they are girls or boys? Hens or roosters? Thanks for sharing this amazing journey. It is nice how such a sad story ends with new life. This is such a great story! The chicks are beautiful. Thank you for sharing with us. You are welcome, Courtney. They are sure cute. Oh my goodness. I laughed so hard. Allison is hilarious. Kind of reminds me of someone else I know. I’m thinking your mother must be a saint to have survived all you girls. I bet it was never boring. So true, Tonya. We have a ton of fun! They are so cute. Thanks for sharing the pictures with us. So Cute!! I would love to have some chickens but we have coyotes, raccoons and recently, a fisher cat. Since when did Google talk? Is that the Google thing like the Alexa thing from Amazon? I don’t think Google has learned how to talk yet. 🙂 Allison just had to type. You have a lot of critters prowling around your house! Do you have house pets? Are they safe? Yes, we do have lots of critters! We have deer all the time and little ones, too. Yesterday, I was watching about 20 turkeys laying on our driveway probably trying to dry off from the overnight rain. No, house pets, we did have a cat and dog but they went over the rainbow bridge several years ago.